New York and Berlin may be hot on its heels, but in the art world of the moment, Britannia rules. When one of the two battling collectors finally conceded defeat, the gavel banged and the victor bagged Peter Doig's colorful painting White Canoe for $11.3 million. Not only did it sell for more than five times the Sotheby's estimate, the painting also set a new record for the work of a living European artist. The biggest surprise, however, was that it was sold not in New York but in London. Followers of the American art market are accustomed to seeing prices skyrocket at the Manhattan auctions, but until very recently such coups were unheard of in England. Times have changed. White Canoe wasn't the only record-breaking work in London's most recent round of modern and contemporary art sales. Highs were set for more than 40 artists. The oil painting Study for a Portrait II, by Francis Bacon, was sold for $27.5 million. Andreas Gursky's 99 Cent II, Diptych went for $3.3 million, promptly becoming the world's most expensive photograph. Once considered a backwater of crusty Old Master dealers, London is now a contemporary art powerhouse, with more creative and commercial clout than anywhere outside New York. British artists are the new household names. The world's most influential art dealers—like Gagosian in New York, and Zurich's Hauser & Wirth—have opened galleries in the capital. Dozens of new spaces have surfaced in edgy East London. 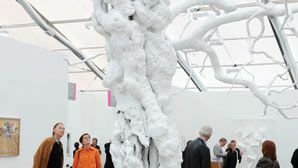 Every October international collectors flood the city for the Frieze Art Fair, organized by the London-based international art journal Frieze. Even if they're not one of the heavweight collectors on Larry Gagosian's speed dial, art enthusiasts are quickly pulled into the whirl. "London has everything—great museums, great galleries, and great artists," says Matthew Slotover, copublisher of Frieze and co­director of the art fair. "There's an amazing range of shows on at any one time." Take this month. You can catch the last few days of the Tate Modern's retrospective of the films and photomontages of London icons Gilbert & George, and, on June 1, the opening of its summer blockbuster on Salvador Dalí's work in cinema. There are more Dalís in "Surreal Things," the Victoria and Albert Museum's survey of surrealism and design. "Renoir's Landscapes" is on at the National Gallery, and the National Portrait Gallery mounts photography shows, including "Four Corners," a look into London's cultural diversity. And if you're curious to see how 16th-century Virginia looked to intrepid English explorers, there's the exhibition of John White's watercolors of Native Americans at the British Museum. Comparably diverse exhibitions are on view at smaller public art institutions. The Hayward Gallery is presenting a show devoted to one of Britain's most popular contemporary sculptors, Antony Gormley. The films of the Dutch-Brazilian artist Pablo Pijnappel, exploring the boundaries between fact and fiction, are showing at the Whitechapel Gallery. And in July, Londoners look forward to the summer pavilion in Hyde Park, an annual commission by the Serpentine Gallery—this year designed by Danish conceptual artist Olafur Eliasson and Norwegian architect Kjetil Thorsen. Then there are the latest additions to the London art scene: the commercial galleries. Andreas Gursky's work is the focus of two shows this month: one in the new gallery opened by the German dealers Monika Sprüth and Philomene Magers, in an 18th-century building on Grafton Street in Mayfair; the other nearby at White Cube's new space, a glass box in the middle of Mason's Yard. At Coppermill, its cavernous project space in East London, Hauser & Wirth is presenting an ambitious show of new works by the Turner Prize-winning British conceptual artist Martin Creed. A decade ago, it would have been inconceivable that all this might be happening in a single month in London. "Things were very different in the early 1990's," reminisces New York-born Maureen Paley, who moved to London in 1977 and is now one of its leading gallerists. "There was no contemporary art scene as such." The city has long had great museums with imposing historic collections and scholarly exhibitions, but the avant-garde was relegated to publicly funded exhibition spaces like the Whitechapel, Serpentine, and Hayward galleries. There were very few commercial galleries, very few contemporary art collectors, and certainly no world-class contemporary art fair. Even during the last global art boom, in the 1980's, the advertising mogul Charles Saatchi was the only London collector of note with an interest in contemporary art. In 1991, the Saatchi Gallery had organized the first show in its Young British Artists (YBA) series, three years after YBA poster boy Damien Hirst introduced himself and his colleagues in the student exhibition, "Freeze." Later in the decade, at the Royal Academy of Art and then at the Brooklyn Museum of Art, the exhibition "Sensation," drawn from Saatchi's collection of YBA's, caused a public and media furor—not least because Hirst's tiger shark suspended in formaldehyde and Chris Ofili's Madonna-and-dung painting incurred the fury of then New York mayor Rudolph Giuliani. Throughout the 1990's, small galleries opened in East London to represent these artists. Hirst and fellow provocateur Tracey Emin joined Jay Jopling's White Cube gallery, which started out in a second-floor walk-up borrowed from Christie's. Painters Ofili and Doig were taken on by the Victoria Miro Gallery, sculptor Sarah Lucas by Sadie Coles HQ, and photographer and video artist Gillian Wearing by Paley.The market expanded through the 90's as new collectors appeared, although at that time London risked being eclipsed by Berlin, which after Germany's reunification had emerged as an inexpensive base for young artists. multiple exhibition spaces in different parts of the city.) More British collectors began buying contemporary art, as did many wealthy foreign residents who have been moving to London in recent years, to work in the booming financial markets. But the city's most important role is as a bridge between America and Europe: it's the place where U.S. collectors come to buy European art and where Europeans shop for new work by British and American artists. Today, there are two distinct gallery districts in London: the plush West End, once the preserve of the Old Master dealers, and the rapidly gentrifying East End. Neither is as concentrated geographically as, say, Chelsea in New York, but together they can easily be covered in a day. White Cube, Gagosian, Sadie Coles, Hauser & Wirth, Sprüth Magers, and the rest of the "new establishment" have set up shop in Piccadilly and Mayfair in the West End, close to Bond Street's designer stores and fashionable restaurants like Scott's and the Wolseley. The smaller, more experimental galleries—and a few big ones too—are camped in abandoned factories and warehouses in the East End, mostly clustered around Hoxton Square and Herald and Vyner streets. 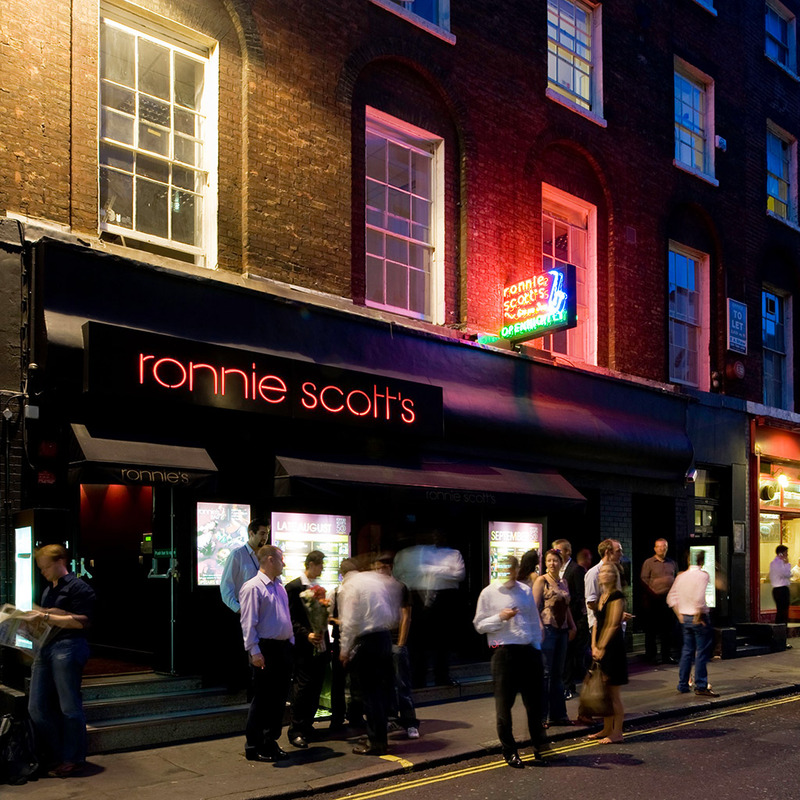 Here, the atmosphere has a sharper edge, with artists' bars, traditional pubs like the Golden Heart on Commercial Street and George & Dragon on Hackney Road, and nightclubs such as Hoxton Square's BoomBox, a favorite of the fashionable "new rave" music scene. "There's now a very wide spectrum within the commercial gallery circuit," says Iwona Blazwick, director of the Whitechapel. "You have the scale and ambition of White Cube, Gagosian, Victoria Miro, and Hauser & Wirth at one end, and then the laboratories of dodgy, experimental spaces in East London. One of the big differences between London and New York is the level of experimentation. The market is still smaller here, so people are less afraid of failure and more willing to take risks." Another difference is that the London art scene is livelier and more rambunctious than New York's. Artists like Hirst and Lucas played an important role in London's rise during the late 1980's by organizing their own shows. Art students are omnipresent too, as most of the leading British art schools are in central London. 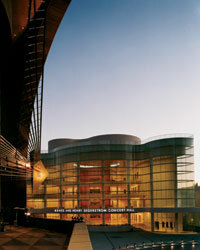 The scene is also much more cosmopolitan than that of any other European cultural center and arguably even New York. "The main change I've noticed is that the art scene has opened up to become more international," notes Ralph Rugoff, a New Yorker who lived in London as an art critic during the 1990's and returned last year, after a stint running the Wattis Institute in San Francisco, to become director of the Hayward Gallery. "Every five years the Hayward organizes the British Art Show. In the last one, in 2006, more than half of the 50 artists were born in other countries." Last year the prestigious Turner Prize (awarded annually by Tate Britain to encourage interest in contemporary art), went to the German painter Tomma Abts. For some collectors, the current frenzy of the contemporary art world has prompted a surprising turn, and some observers sniff a trend. Last summer at Sotheby's in London, well-known art collector Gunther Sachs, the German industrialist, paid a record $9.5 million for The Procession to Calvary by Pieter Brueghel the Younger. It was one of 20 records set at an auction of 15th- to 18th-century works. Even the Old Masters are basking in the white heat of the London art scene. 64 Chisenhale Rd. ; 44-20/8981-4518; www.chisenhale.org.uk. Flagship gallery (6-24 Britannia St., Kings' Cross; 44-20/7841-9960) and Mayfair space (17-19 Davies St.; 44-20/7493-3020). www.gagosian.com. Mayfair location (196A Piccadilly St.) and East London outpost (92-108 Cheshire St.). 44-20/7287-2300; www.ghw.ch. 2 Herald St.; 44-20/7168-2566; www.heraldst.com. Old Bethnal Green Rd. ; 44-20/7729-3122; www.generalhotel.org. 21 Herald St.; 44-20/7729-4112; www.maureenpaley.com. 35 Heddon St., Mayfair; 44-20/ 7434-2227; www.sadiecoles.com. 44 Bonner Rd. ; 44-20/8983-4115; www.theshowroom.org. 7A Grafton St.; no phone at press time; www.spruethmagers.com. 10 Vyner St.; 44-20/8980-7742; www.modernartinc.com. 16 Wharf Rd. ; 44-20/7336-8109; www.victoria-miro.com. Original East End gallery (48 Hoxton Square) and new outpost in St. James (25-26 Mason's Yard). Great Russell St.; 44-20/7323-8000; www.thebritishmuseum.ac.uk. Belvedere Rd., South Bank; 44-20/7921-0813; www.southbankcentre.co.uk. St. Martin's Place; 44-20/ 7312-2463; www.npg.org.uk. 80-82 Whitechapel High St.; 44-20/ 7522-7888; www.whitechapel.org. Regent's Park; 44-20/7833-7270; www.friezeartfair.com; Oct. 11-14. Regent's Park; 44-20/8964-3272; www.zooartfair.com; Oct. 12-15. 81 Fulham Rd. ; 44-20/7581-5817; dinner for two $310. 23-27 Wadeson St.; 44-20/8983-7900; lunch for two $125. 26 St. John St., Smithfield; 44-20/7251-0848; dinner for two $116. 20 Mount St., Mayfair; 44-20/7495-7309; lunch for two $140. 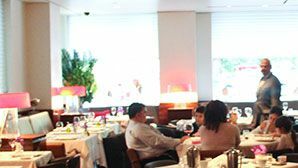 Bankside; 44-20/7401-5020; dinner for two $113. 44-20/7387-8888; www.addisonlee.co.uk; car and driver $60 per hour. Albemarle St., Mayfair; 44-20/7493-6020; www.brownshotel.com; doubles from $600. 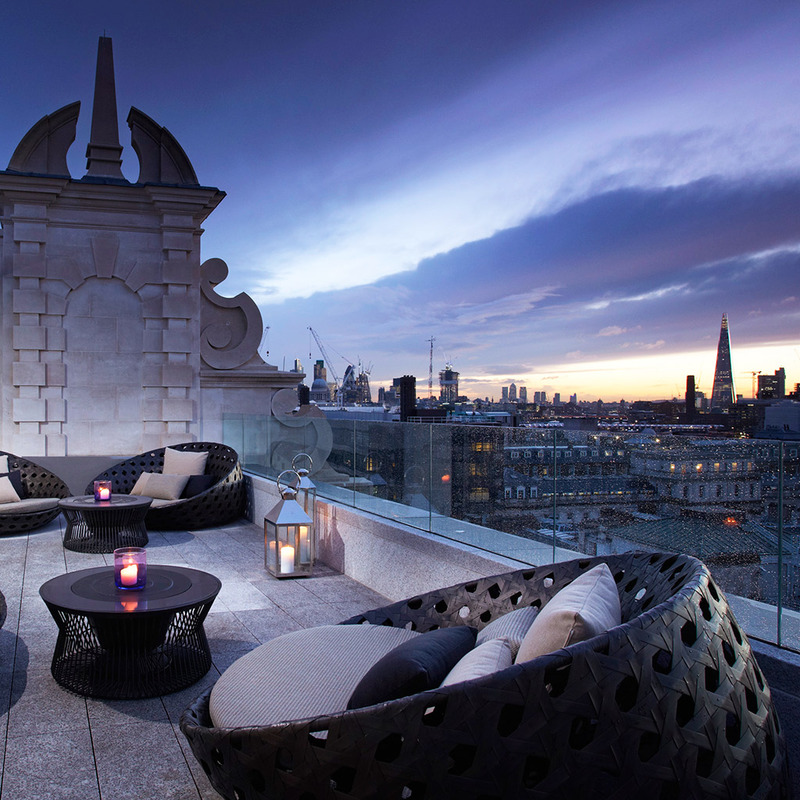 Brook St., Mayfair; 44-20/7629-8860; www.claridges.co.uk; doubles from $1,099. My number-one recommendation is to visit the Institute of Contemporary Arts. This month's not-to-miss exhibit is "The Secret Public" (through May 6), about the underground London scene of the late 70's and 80's. • The Hayward Gallery is the space to watch. Ralph Rugoff, the American director, is one of the most interesting curators around. • A lot of important artists started off at the Showroom: Eva Rothschild, Jim Lambie, Simon Starling. • Hotel is a great gallery with young, interesting talent. The Chisenhale is a little out of the way in East London, but worth the effort. The vast space is well suited for larger installations. • There's also Bistrotheque, an industrial raw space where we do most of our after-parties. • "Surreal Things: Surrealism and Design" at the V&A (through July 22) is the first show to examine how Surrealism evolved from a politically radical avant-garde art movement to become a cultural phenomenon. We've recreated Peggy Guggenheim's gallery, which uses sound and light to create a disconcerting effect, and the set of Serge Diaghilev's 1929 production of Le Bal, with costumes by Giorgio de Chirico. • A great hidden treasure at the V&A is the Cast Courts. Not many people know that casts of several of Michelangelo's works are there. • It's certainly a classic, but the Michelin House is a fantastic affair, with beautiful Art Deco stained glass. I love its coffee shop on the ground floor and the wonderful restaurant, Bibendum, upstairs. • All the major galleries and museums now plan their show of the year around Frieze, held in October in Regent's Park. This year Tate Britain will showcase 23 years of the Turner Prize exhibition, so we will see every artist who has been shortlisted. That will be amazing: the best of British art for the past two decades. • During Frieze, the most interesting satellite fair is the cutting-edge Zoo, which actually takes place in the London Zoo. Some of the galleries are more like artist-run spaces in people's front rooms. • Scott's, a restaurant that has been taken over by the Ivy-Caprice people, is fantastic for the art alone, like a big fish-and-crustaceans display by Martin Brudnizki. Then there is St. John in Clerkenwell. That is a real art-world favorite. It's known for offbeat offerings like tripe, pigs' trotters, and offal, but I've been there loads and I've never had any of the really scary stuff. If you want a nice meal with a view of London, book a table at the top-floor Tate Modern Restaurant. • To see the grittier side of the London art scene, go to the East End, around Herald Street, Bethnal Green, and Vyner Street, where most of the artists live and a lot of the younger galleries are located. Book a car and driver for the day through Addison Lee, which only charges $60 an hour. You can pick up a great map of the area's galleries at the Whitechapel Gallery. • I'm based in Germany, but I opened a gallery here because the focus of the art scene in Europe has shifted to London. There are a huge number of new artists working in the U.K. who are expressing the spirit of the time. • Many collectors stay at Brown's Hotel and so do I—it is my second home. Don't miss the lovely high tea. • Everyone from the art scene goes to Dover Street Market, the department store owned by Rei Kawakubo, of Comme des Garçons. She has the greatest things: furniture custom-designed by Hedi Slimane, vintage clothing, and the top-floor Rose Bakery, which serves my favorite dish, steamed vegetables with soy earth sesame sauce. • Apart from visiting Frieze in October, late June is the best time to come to London. The galleries put on shows timed to the European art fairs like Art Basel, so everyone comes through. But book a hotel early. Located on the seventh floor of London’s famed Tate Modern gallery, the Tate Modern Restaurant features a menu of dishes created from seasonal ingredients. Gallery visitors can stop in for lunch or dinner and enjoy a meal of fettuccini with wild mushrooms, pan-fried cod or roast Suffolk chicken. The restaurant is airy and inviting, and it boasts some of the best views around: savor your meal as you gaze at such London landmarks as St. Paul’s Cathedral. Dinner is available on Friday and Saturday evenings only. The Whitechapel Gallery is one of London’s premier venues for displaying contemporary art. After acquiring the Whitechapel Library and completing an extensive expansion project, the gallery has nearly doubled in size. The newly expanded Whitechapel Gallery features a Collection Gallery, displaying collections from around the world, and Commission Gallery, highlighting works created specifically for the Whitechapel Gallery each year. Throughout its history, the gallery has premiered such emerging artists as Picasso, Rothko, and Pollock, solidifying its place among London’s most influential galleries. Quite simply, this is one of the world’s finest museums. Founded in 1753, it covers more than two million years of history from every continent, including the first known image of Christ, the oldest man-made tools on earth, and the Rosetta Stone. Two-and-a-half square miles of galleries hold more than 70,000 permanent exhibits and seven million drawings, prints, and antiquities under one roof (sculptures from the Parthenon, Egyptian mummies, and the exquisite pre-Christian Portland Vase). Wear comfy shoes and tackle its 100 rooms, 17 sections, and three floors one area at a time. (You may need to make at least one return trip.) The Greek and Roman relics are the best and most exhaustive on the globe, and the Egyptian Collection is the most significant outside of North Africa and the Middle East. Volunteers lead free, guided tours and share a huge wealth of knowledge in 40 snappy minutes. A Norman Foster-designed glass canopy and circular Reading Room make the Great Court an impressive sight. Perhaps the most influential contemporary gallery in London, White Cube was established by renowned art dealer Jay Jopling in 1993. In 2000, Jopling opened a new location in East London’s trendy Hoxton Square, amidst the largest artists’ enclave in Europe. Within the gallery’s striking industrial-style structure, two pristine exhibit spaces enable patrons to immerse themselves in cutting-edge work by celebrated British and international artists such as Damien Hirst, Sam Taylor-Wood, Tracey Emin and Chuck Close. The pieces represent a variety of media and range from the beautiful to the nightmarish. Festive gallery previews are also open to the public. Representing Turner Prize winners Chris Ofili and Grayson Perry, as well as renowned artists Peter Doig, Isaac Julien and William Eggleston, Victoria Miro has been known as the "grand dame of British art" since her first gallery opened in 1985. Today, Miro has moved her namesake gallery to a restored Victorian furniture factory located between Islington and Hoxton. 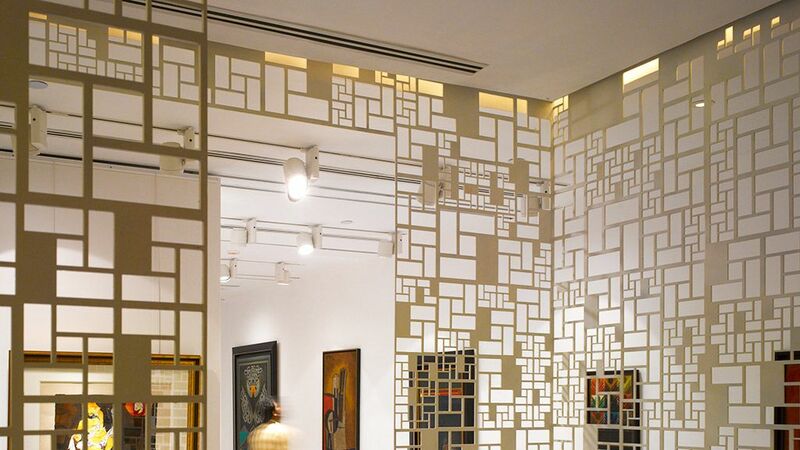 Surrounded by polished cement and well-lit white walls, gallery patrons gaze upon hypnotic paintings and mesmerizing large-scale installations before strolling in the lush, art-studded garden. 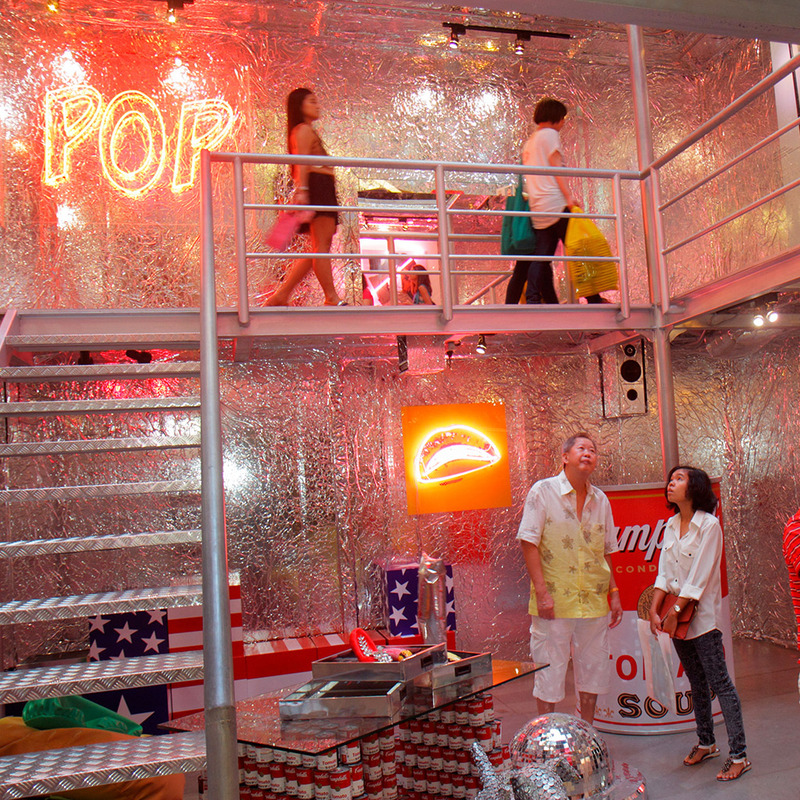 Serious art addicts can also sip wine and talk concepts at the gallery’svswanky openings. Opened in 2003, this gorgeous contemporary gallery is the London branch of a renowned German chain run by art dealers extraordinaire Monika Sprüth and Philomene Magers. Set in an eighteenth-century building in Mayfair, the gallery represents talented budding artists as well as established superstars of the art world, including Cindy Sherman, Fischli & Weiss, Barbara Kruger and Gary Hume. In addition to being one of the city’s most impressive galleries, Sprüth Magers is also one of the most beautiful, featuring pristine cream-colored walls, 19th-century carved wood and a glass façade that is typically used to display one alluring masterpiece. Mesmerizing photographs by Turner Prize-winner Wolfgang Tillmans, earthy sculptures by Rebecca Warren, and chaotic installations by Anne Hardy are just a few of the exhibits that have taken place at the Maureen Paley contemporary art gallery since its opening in 1984. Originally established in London’s East End, the gallery relocated in 1999 to a quiet street in Bethnal Green, where an unassuming silver door conceals a world of cutting-edge creativity. A reflection of Paley’s taste, which tends toward the dark and the mysterious, the gallery has also represented artists Gillian Wearing and Liam Gillick. In 2003, art lovers Darren Flook and Christabel Stewart created a one-room project space in their flat and welcomed artists to stay with them during the production of their work. Today, this project space has become HOTEL, one of the most celebrated contemporary art galleries in London’s East End. Among the many reasons for Hotel’s success is Flook’s and Stewart’s willingness to represent talented, up-and-coming artists outside of local circles. As a result, patrons can experience the mysterious paintings of Cologne-based Michael Bauer, the installations of New Yorker Carol Bove, and the insightful photography of Glasweigan Duncan Campbell. Posh, polished and always on trend, this Bethnal Green gallery is everything a contemporary art enthusiast could desire. Within the striking industrial-style building, gleaming cement floors and all-white walls serve as a beautiful blank canvas for innovative works by up-and-coming artists. Past exhibits have showcased the arresting organic sculptures of Michael Dean, the satiric black and white ink drawings of Donald Urquhart, the whimsical yet twisted sculptures of Nicole Wermers and Peter Coffin's hypnotizing neon lights that split the exhibit space like brightly colored lightning. One of the world’s leading international galleries, Hauser & Wirth is a quiet yet commanding giant on the contemporary art scene. Originally founded in 1992, the gallery began in Zürich and quickly expanding to London and New York. The flagship London branch in Piccadilly is housed in a stately historic bank designed by renowned architect Sir Edwin Lutyens, offering an impressive space to display difficult, delightfully noncommercial masterpieces by Hauser & Wirth’s more than 30 represented artists. Previously exhibited work include pieces by legendary Louise Bourgeois, Turner Prize winner Martin Creed, Swiss artist Pipilotti Rist and provocative superstar Paul McCarthy. Experimental video, gut-wrenching photographic collages, dramatic installations: if it shows true innovative talent, the Chisenhale has it. This ambitious nonprofit in London’s Tower Hamlets has become renowned for its dedication to uncovering new artistic talent and nurturing that talent at its seminal stages. In fact, Chisenhale’s unique space, a restored 1930s veneer factory, often plays a vital role in the artists’ production. Chisenhale has shown work by such celebrated artists as Gillian Wearing, Sam Taylor-Wood, Rachel Whiteread and more recently, James Richards, David Noonan and Josephine Pryde. The gallery also hosts a spectacular series of lectures, discussions and film screenings. Come here to catch everything from video projections to experimental works combining sculpture, sound, and light. Locals highly anticipate its summer pavilion in Hyde Park, with daring temporary architectural creations commissioned from the likes of Rem Koolhaas, Oscar Niemeyer, and Zaha Hadid. Insider Tip: Pause at the entrance to visit the eight benches, tree plaque, and carved stone circle that memorialize former Serpentine patron Princess Diana. Luxury hotelier Rocco Forte restored this historic treasure beyond its former glory, and his sister, Olga Polizzi, transformed the public spaces and 117 bedrooms within these 11 Georgian townhouses. It all fits perfectly into today’s London. The Donovan Bar displays black-and-white portraits of city stars from the 50’s and 60’s to great effect. Scottish tartan banquettes and British racing-green woolen armchairs abound, while the wood-paneled lounge evokes elegance without feeling old-fashioned. Guest rooms are a snazzier affair, with reproduction antique furnishings juxtaposed with soft colored textiles and walls of modern art. Its impressive basement spa performs Carita, Aromatherapy Associates, and Dr Sebagh treatments. As artful and intriguing as the masterpieces displayed in the gallery's nearby exhibits, the plates presented in the Whitechapel Gallery Dining Room reflect the imagination of consultant chef Angela Hartnett. The space is minimalist with large windows, white walls, and long mirrors reflecting the warm glow of delicate pendant lights. Here, patrons indulge in seasonal gourmet creations that may include whipped goats' curd with roasted garlic, cote du boeuf with balsamic shallots, and a decadent chocolate pot topped with homemade honeycomb. The wine list is brief but covers all the bases.